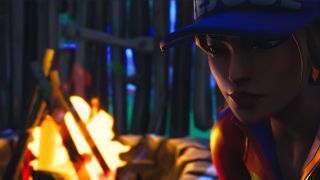 Finding a Cozy Campfire in the world of Fortnite is always a great moment. There's no deciding if you can afford to swap it out for one of your weapons, as it goes straight into your traps and resources in your building inventory, meaning you don’t have to weigh up which is more important between health and shields. Plus, you can be sure that should you only narrowly escape a fight, you will have at least some easy extra health to play with thanks to your pocketed Fortnite Cosy Campfire. Dropping a Cozy Campfire onto a floor will give you an area of effect heal that lasts for 25 seconds, offering two health per second. Some quick math tells us that a full duration stay over a Cosy Campfire will restore up to 50 health, and that can certainly be a lifesaver after a big fight, or if you accidentally decide to fall off the edge of a mountain. Using a Fortnite Cozy Campfire isn’t exactly a difficult task, but using it well and to maximum efficiency takes some getting used to, and these are the tips you need to speed up that learning curve. Getting a heal for 50 health is a pretty big deal. Sure having to wait 25 seconds in the same location isn’t ideal, but it is much better than running around with sub 20 health for the remainder of the match. But where the Cozy Campfire really comes into play is in duos and squads. See the Cozy Campfire will heal everyone that stands in its area of effect, meaning that your whole squad could heal for 50 health each, resulting in a 200 team heal. Not bad. But you need to be careful with how you use it. If you find yourself in a build battle and decide to place a Cozy Campfire on your structure to try and get a mid fight heal, remember that the campfire will heal anyone in its area of effect, even if they are an enemy. A sneaky foe can try and use your fire to heal themselves, and if a squad sees you solo healing using one you can be sure they will try and muscle in to grab those last few seconds of heal for themselves. Be very careful about you let near your fire. That reassuring glow every Cozy Campfire emits may be a comfort for those receiving its benefits, but for everyone else it acts as a giant target. Granted it may not be as obvious as a giant Port-a-Fort flying into the sky, but a team gathered around a campfire is a pretty obvious target and could spell disaster for your entire squad. That is why every time you use a Cozy Campfire you will want to build an entire enclosure around it. You’ll need the floor to place it on, but then back that up with four walls, a flat roof and then even a pointed roof if you fancy it. Even this small enclosure will protect you, and at the very least give you a warning of when someone is shooting at you. This should be standard practise for every Campfire you use. Protect yourself, and make sure that healing session didn’t just cost you the game. Building a fully enclosed structure to heal in is a good idea for many situations, but if you need a heal while in a fight or just need to scout while you stand still for 25 seconds then the best way to do it is to put a campfire under a ramp. Build a floor, place the Cozy Campfire on it and then stick a ramp on top, and for extra protection you should probably surround that ramp with walls. Despite being a good few feet above the fire itself you will still get its full healing benefits and you can see over the top of your structure, spotting any incoming enemies or continuing that sniper fight. You can of course do this as high up as you like. You could have a massive ramp built into the sky and still pull off the same trick, however just be sure to properly anchor your structure to the ground, as you do not want to be falling to your death while healing thanks to only having one solitary ramp attached to the floor. If you have got pretty lucky and managed to find two campfires during your looting sesh then you are in the money, as you can double up on them to get a full 100 health heal in 25 seconds. Place both campfires next to each other and stand in the middle to be healed by both at the same time. Instead of just getting two health per second you will get four, which will quickly top you up to full health. Sure it isn’t quite as fast a a Med Kit, but then you also don’t have to sacrifice any inventory space for this option. Looking for more Fortnite? Here's our Fortnite weapons guide - the best guns and strategies for victory.